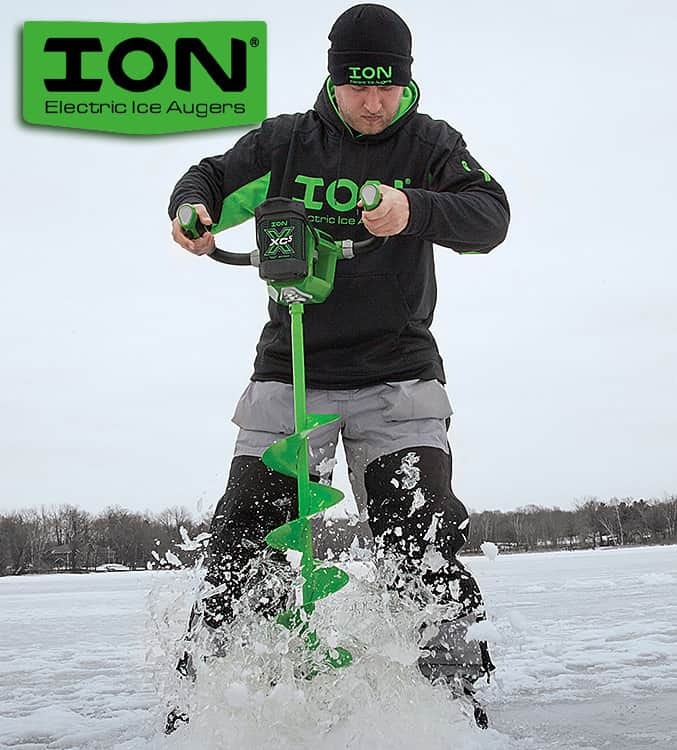 ION™, maker of the world’s first high-performance electric ice auger, announced the launch of the all-new ION X. ION X further enhances the wildly successful original ION launched in 2012. Features of the ION X include the new XC5 battery with over 60% higher capacity and an innovative cast bottom for even smoother cutting. The new XC5 Battery powers the ION X through up to 1600 inches of ice before needing to be recharged. The XC5 battery is backward compatible and works with all previous ION models. A new cutting system developed for ION X includes a cast bottom that positions both blades evenly for constant blade engagement with the ice. 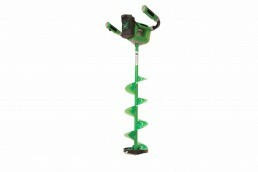 A redesigned and easier to use powerhead that is more compact for better control and easier operation inside ice shacks. 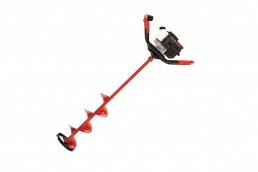 ION X also features two bright LED lights illuminate the ice when the auger is activated. 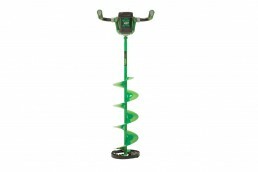 While ION X adds power and several new features, it remains lightweight and is still only 22 lb. 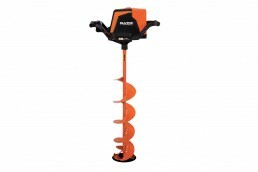 Like previous ION models, ION X has a reverse function that eliminates the chore of scooping by flushing slush down and out of holes after drilling. ION X will be available at most major retailers this fall.